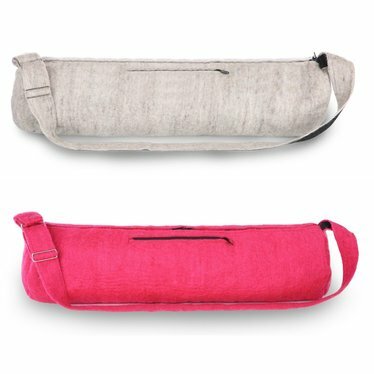 BlooM felt yoga bag, 100% wool. 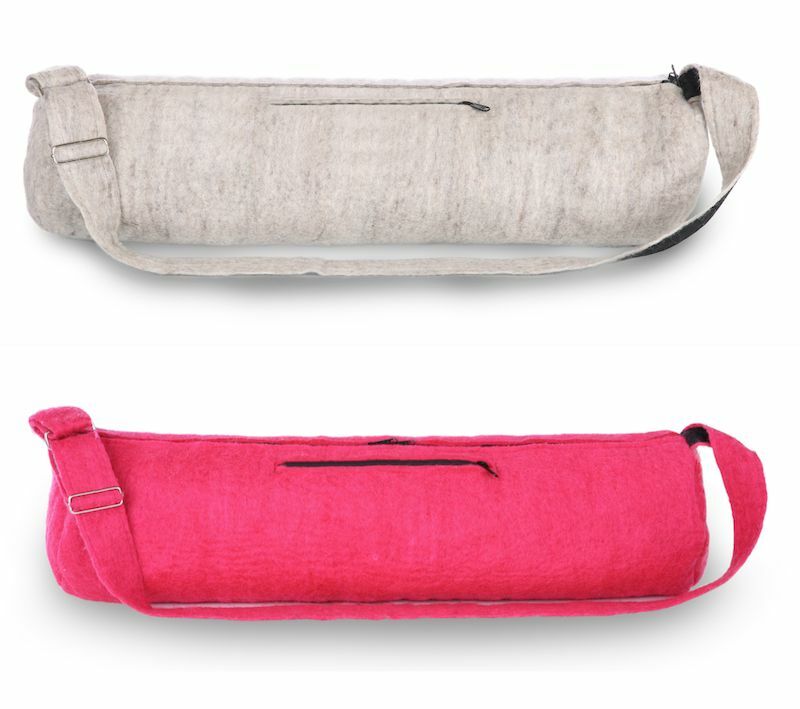 These yoga bags from Bloom, made in Nepal, are nicely finished and are available in 2 colors. Suitable for yogamats 66 cm width and with a diameter of 14 cm. Shanti and Nirjala are the owners of sewing workshop Friends Handicraft in Nepal. These beautiful ladies give women of minority groups the possibility to earn an income and take care of their families. In the professional workshop felt is crafted from 100% pure sheep wool. The wonderful felt cloths are then turned into one of a kind yoga mat bags. The bags are nicely finished and are available in 2 colors. Suitable for yogamats 66 cm width and with a diameter of 14 cm. Size: 71 cm x 15 cm. Extra: Outside compartment and strong adjustable strap.